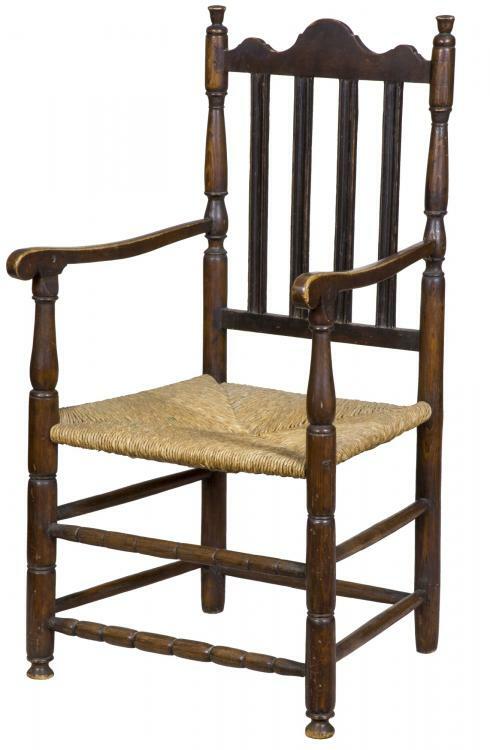 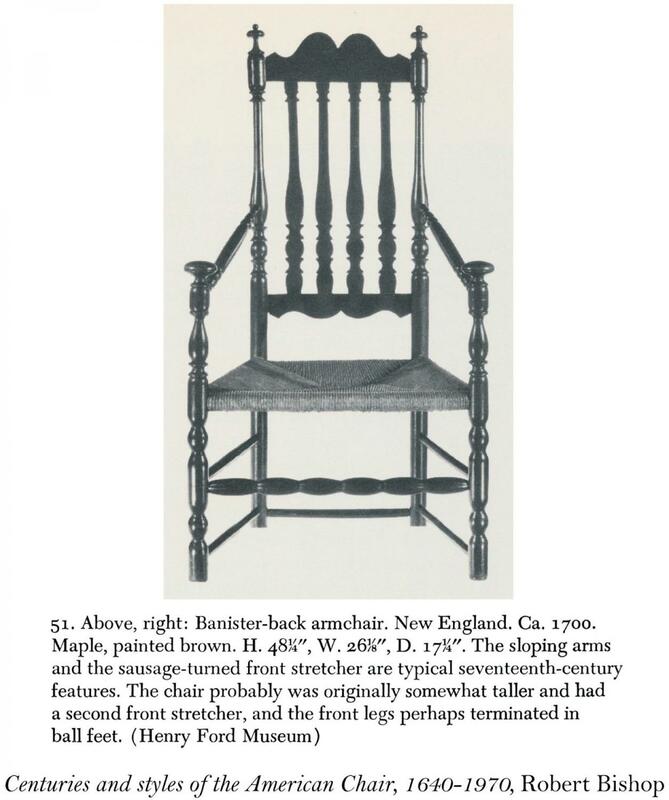 This armchair relates to an example shown in Bishop, The American Chair: Three Centuries of Style (see scan below) with reeded vertical slats on the back and the sausage turnings at the base. 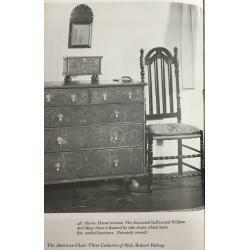 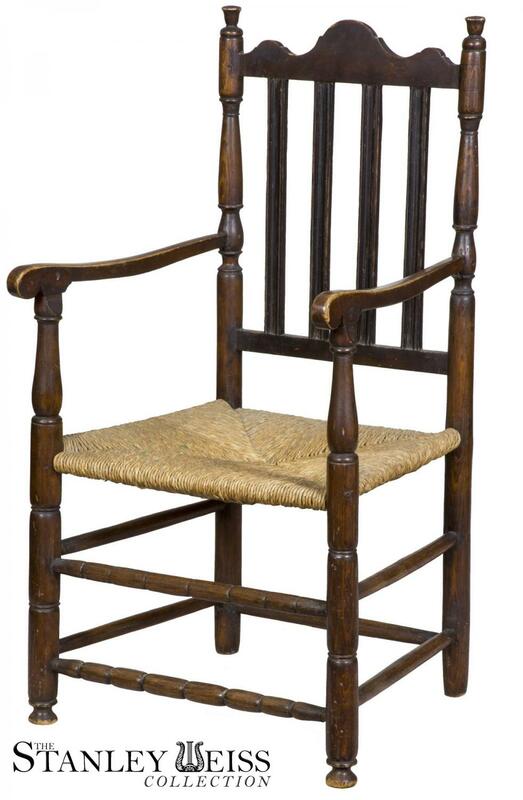 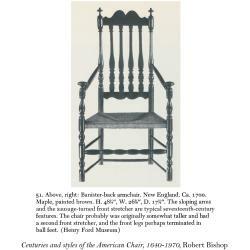 Unlike the comparative example illustrated, the crest of our chair relates to a more commonly found type, see Bishop, Centuries and Styles of the American Chair (below). 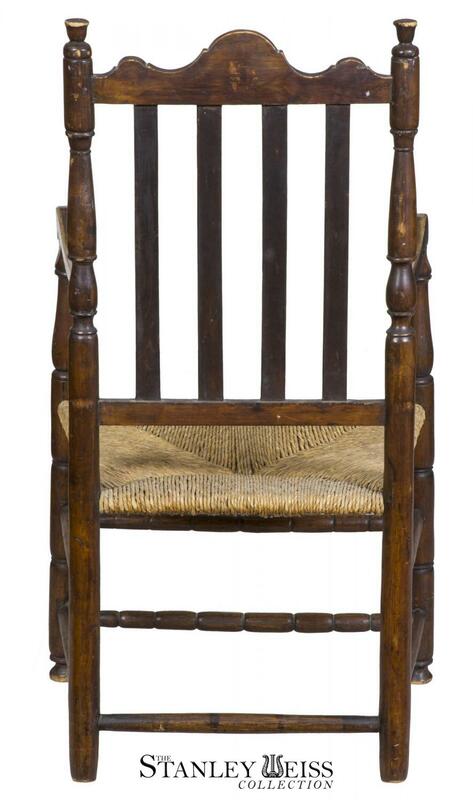 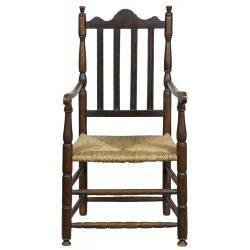 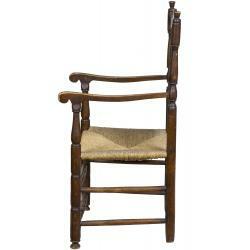 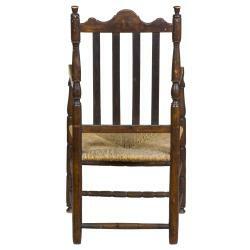 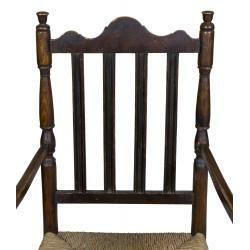 Armchairs are much harder to find than side chairs; fewer were made and even less survived. 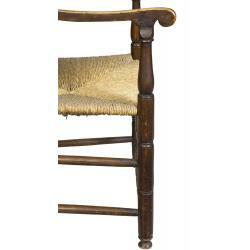 This one is in perfect condition and its feet are of full length, without any additions. 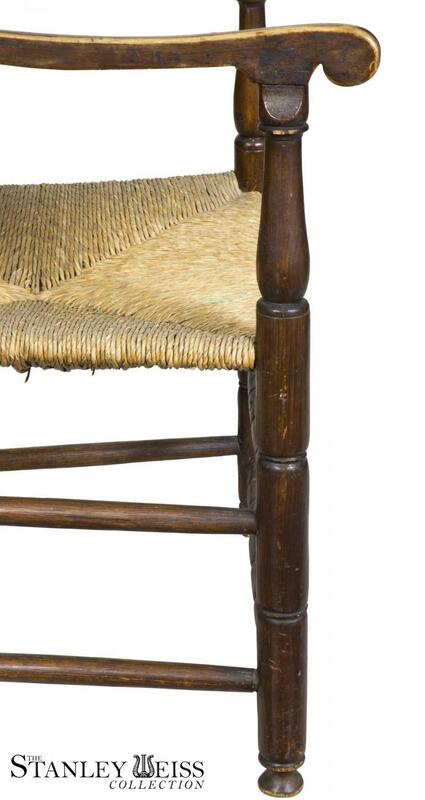 The caning is in excellent condition, and it retains an old surface. 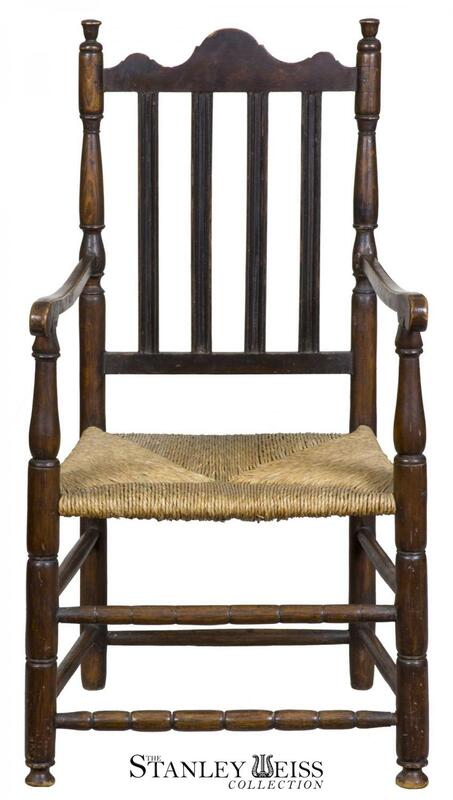 Height: 42 in. 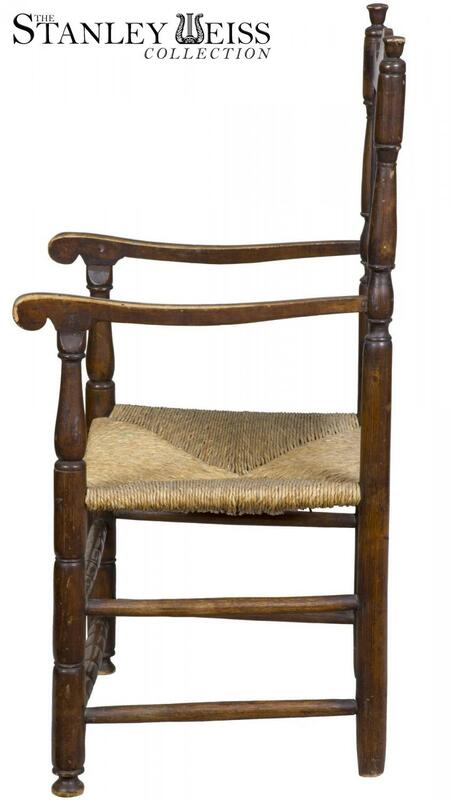 Seat Height: 16 1/2 in. 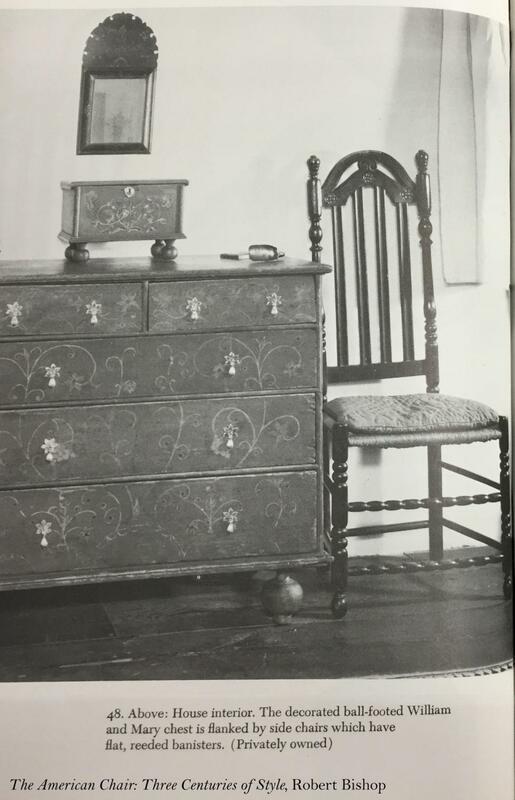 Depth: 17 1/2 in. 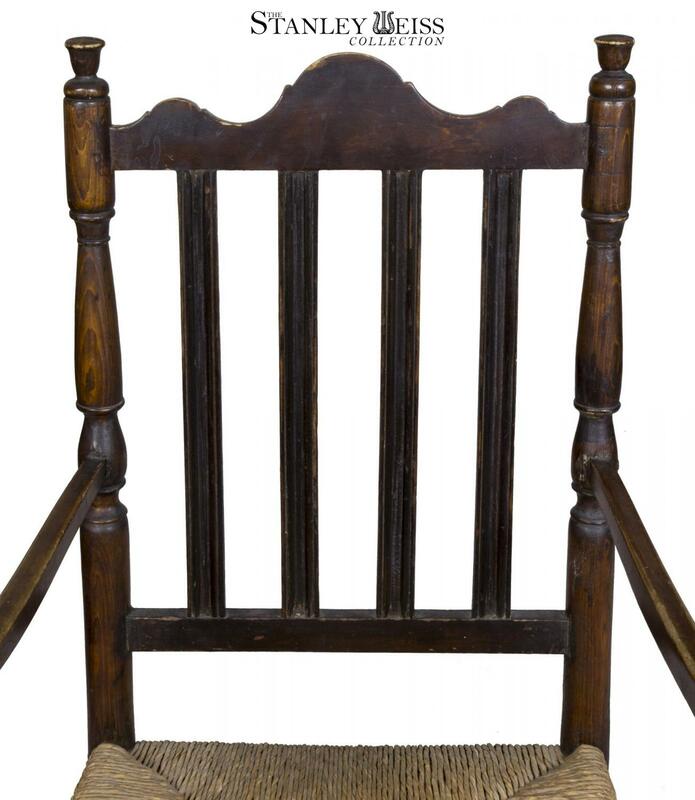 Width: 21 3/4 in.